A disease’s journey from animals into human hosts can be a biologic Rubik’s Cube. 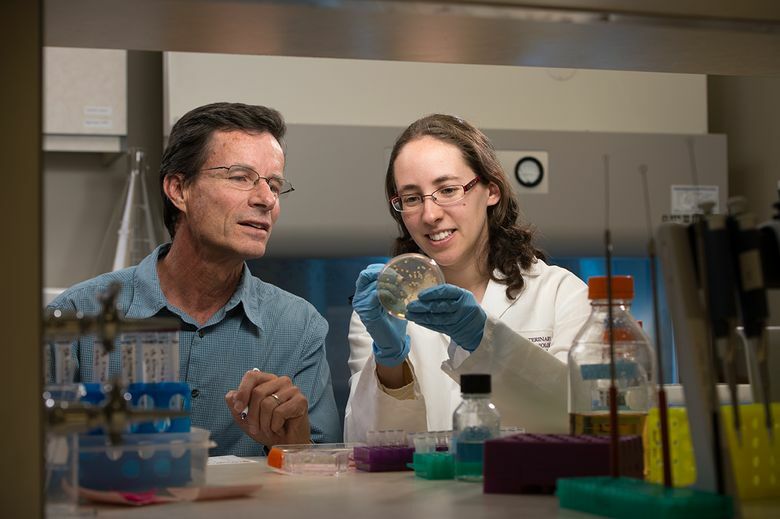 Researchers tackle the ever-shifting puzzle. Infectious disease is a prominent cause of death for humans worldwide. And despite our best science, figuring out the source of the next deadly disease is not a simple task. Factors as varied as fruit bats, owl pellets and feral pigs can play a part. That’s because many dangerous or deadly pathogens are zoonotic diseases, diseases which pass from animals to humans. Their journey from animals into human hosts can be something of a biologic Rubik’s Cube. Fortunately, scientists at Washington State University and elsewhere closely track these pathogens. In Washington, much of the work takes place at the Washington Animal Disease Diagnostic Lab, part of WSU’s College of Veterinary Medicine. 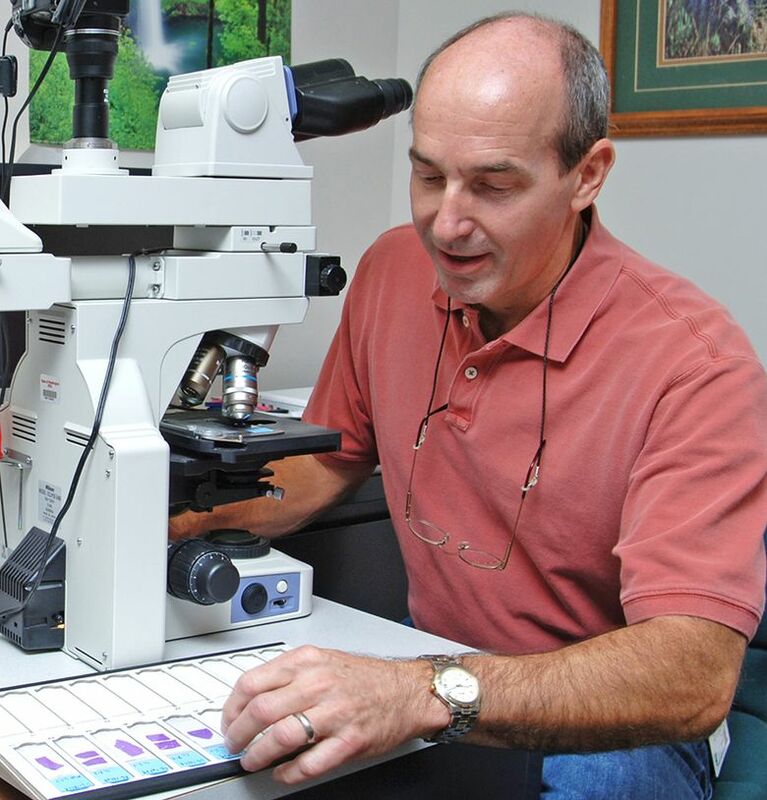 According to Tim Baszler, veterinary pathologist and WADDL executive director, WADDL runs nearly 300,000 tests each year. Veterinarians, farmers and others daily deliver samples such as animal feed, clinical specimens from sick live animals, or entire recently deceased animals to the WADDL for testing. “Diseases often emerge in strange ways, often as a result of human activities that bring species together that don’t normally come together,” says Andrew Storfer, ecologist at WSU’s School of Biological Sciences. He describes the combination of events that led to an outbreak of Nipah (NEE-puh) disease in Malaysia in 1998-99. Over the course of a few months, the newly recognized disease afflicted 265 people with fever, headache, convulsions and coma. It killed 105 and left many others with persistent neurological problems. Storfer says the virus that causes Nipah is carried by fruit bats, which themselves aren’t much affected by it. As forests were cleared to make room for the expanding human population, the bats began to forage into orchards and other human establishments, such as pig farms. Here’s the pathogen’s journey: a bat grabs a piece of fruit from the orchard; after taking a few bites, it drops the fruit within reach of the pigs; a pig eats it, picking up the virus from the bat’s saliva on the fruit; the virus gives the pig a flu-like respiratory disease; when the pig coughs or sneezes, its human handler catches it. In June 2006, elementary-school students in Franklin, Massachusetts, came down with diarrhea, stomach cramps and fever. Doctors soon confirmed the kids had been infected with salmonella, a bacterial pathogen usually transmitted through food. Food wasn’t the culprit this time, though. This outbreak stemmed from a class project in which the kids had handled owl pellets, the wads of hair, bone and other indigestible stuff owls regurgitate after a meal. 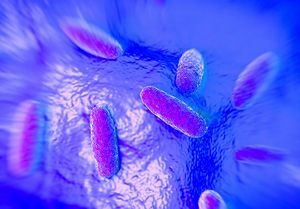 When public health officials compared the DNA fingerprint of salmonella isolated from the students and pellets with a nationwide database, they found a match. E. coli O157:H7 is the bug that tainted burgers at Jack in the Box in 1993, and imperiled our spinach salads in 2006. In humans it causes symptoms ranging from cramping and diarrhea to a potentially lethal form of kidney failure. O157:H7 is especially dangerous for kids. 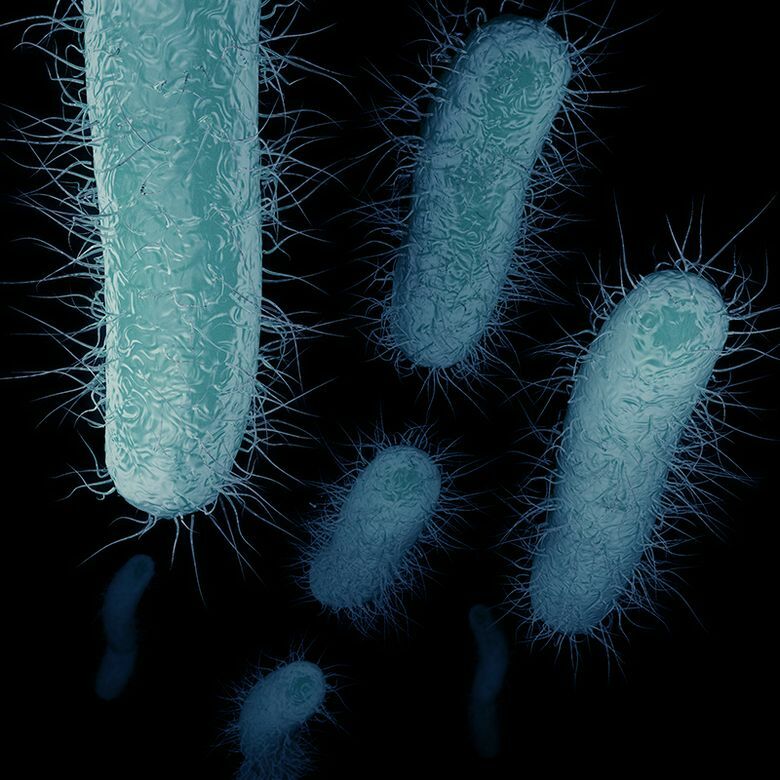 It appears to infect us more easily than salmonella; with E. coli the infectious dose appears to be just a few hundred cells. According to Tom Besser (pictured at top), a veterinary microbiologist at WSU, measures taken since the Jack in the Box incident have greatly reduced our chances of getting meat tainted with E. coli (or salmonella or other pathogens as well). A major source of contamination was found to be dust on the animals’ hides. When cattle were skinned at the slaughterhouse, dust (and harmful bacteria) settled on the meat. Now, carcasses receive a pasteurizing wash after skinning. Besser says the CDC’s report on the contaminated spinach incident found that the E. coli may have originated on a cattle farm half a mile from the spinach field, but the spinach was actually contaminated by feral pigs walking through the spinach field on their way to a water hole. 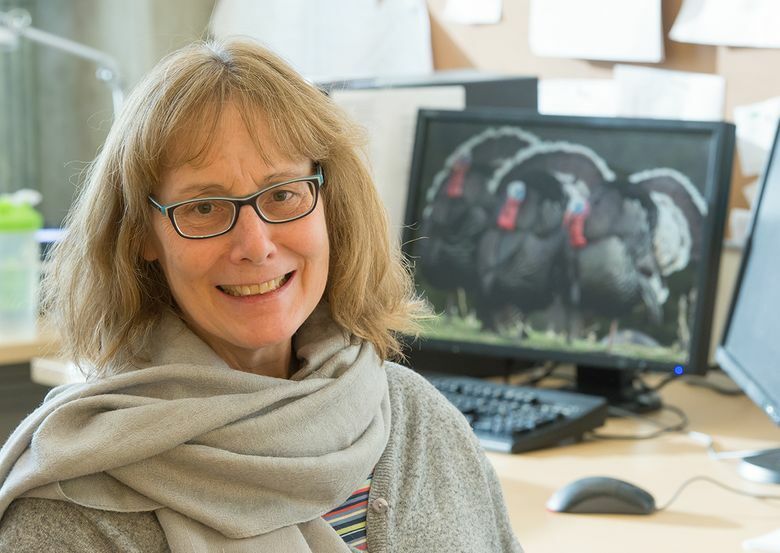 The issue of diseases passing from wildlife and domestic animals to people is “one of the most important challenges we’re going to face, I think, over the next century,” says Storfer. Surveillance of livestock and some wildlife diseases, such as bird flu, disease surveillance is well established through various national laboratory networks in which WADDL is an active participant says Baszler. However in general, monitoring of wild species is nearly nonexistent. Nobody is really watching the wildlife from which new diseases might emerge says Storfer.